In late February 2014, just a few days before what became known as the ‘Crimean Spring’, several thousand Crimean Tatars assembled under Crimean Tatar and Ukrainian flags for a rally in the regional capital Simferopol. One of the speakers, mufti Emirali Ablayev, railed at those who supported the peninsula’s reunification with Russia. The crowd received Ablayev’s speech enthusiastically. The Crimean Tatars spent half a century in exile before being allowed to return home to Crimea, and have come to see Russia, the successor to the USSR, as responsible for this terrible tragedy. It’s unsurprising they’ve been opposed to the peninsula’s annexation, but their religious organisations have had a far more difficult game to play. May 2015: Emirali Ablayev at a meeting to commemorate the 70th anniversary of the deportation of the Crimean Tatars. (c) Andrei Iglov / VisualRIAN. After Crimea came under Russian jurisdiction, it didn’t take long for Ablayev to change his tune, toning down his speeches and calling for patience and unity from his fellow Muslims. At the same time, the body Ablayev is in charge of, the Spiritual Directorate of Crimean Muslims (SDCM), also known as the muftiate, started making overtures of friendship to the Muslim Spiritual Leadership of European Russia, and Ravil Gainutdin, the Chair of Council of Muftis of Russia, has become a frequent visitor to Crimea. The new Crimean secular authorities seemed to be forcing the muftiate into cooperation and compliance. Soon after, the SDCM began the process joining the Muslim Spiritual Leadership of European Russia. The subsequent wave of inspections and searches in Muslim places of worship, however, made it look more like an attempt by the Crimea’s new authorities to force the muftiate into full cooperation and compliance. And their efforts have been successful. This process of subjugation was assisted by the Tauric Muftiate (in antiquity, Crimea was known as the Tauric peninsula), a previously unheard of Sufi religious organisation that appeared in Crimea in August 2014. This muftiate is headed by Ruslan Saitvaliyev, a member of the Spiritual Centre of Crimean Muslims (SCCM), an organisation set up in Ukrainian Crimea by the Spiritual Directorate of the Muslims of Ukraine, which had come into conflict with Ablayev’s muftiate. Akhmed Tamim, a Kyiv mufti of Libyan extraction, is the leader of this larger directorate (the Spiritual Directorate of the Muslims of Ukraine), and follows the teachings of Abdullah al-Harari, originally from Libya. 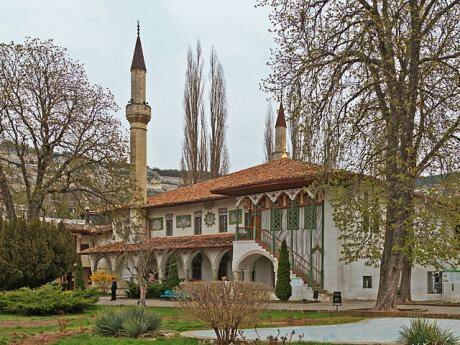 Prior to Crimea joining Russia, the Spiritual Centre of Crimean Muslims had opposed Ablayev’s muftiate, though it was largely unsupported. From the start, supporters of the Tauric Muftiate claimed they had the support of Talgat Tadzhuddin, Russia’s chief mufti, who supposedly even took part in the creation of the new organisation—a suggestion that Tadzhuddin has firmly denied to journalists. The SDCM saw the appearance of a parallel muftiate as an attempt to create a schism among Crimean Muslims, although its leadership claimed that this would in fact serve to unite its followers. ‘For us, this is nothing new. It will only bring us, the Crimean Tatar people, together, and we will survive everything,’ said Aider Ismailov, deputy to Ablayev. A few days later, Ravil Gainutdin, chair of the Council of Muftis of Russia, arrived once more, keen to sort out the problem. ‘The head of the Republic fully recognises the supremacy and unity of the SDCM and the respected haji Emerali Ablayev as mufti of all Crimea,’ Gaitnudin stated. This creation of an alternative muftiate is, however, a classic example of the principle of checks and balances. At any moment, the traditional spiritual leadership can be replaced by the alternative one, should the need arise—and the SDCM is well aware of that. At any moment the traditional spiritual leadership can be replaced by the alternative one, should the need arise. In other words, the Crimean government has assured itself of the SDCM’s loyalty. Ablayev, or one of his deputies, attends every significant public event, standing side by side with government leaders, to the disgust of many social media users among his flock. In return, the muftiate has the tacit support of the peninsula’s political leaders. In controversial issues over religious property, the courts have begun to err on the side of the SDCM. Take, for instance, the dispute around Yevpatoria’s central Juma-Jami mosque. In the late summer of 2014, the mosque’s imam announced that he was leaving the SDCM and joining the Tauric Muftiate, after members of this organisation won a majority in the local Muslim community council. The legal documents relating to the community, and its seal, were handed over to the imam, and members of the Tauric Muftiate took possession of all the money held at the mosque. The SDCM disputed the handover and, in February 2015, after a long examination of the case, the court ruled in its favour: the Tauric Mutfitate was obliged to leave the mosque. In March 2015, Ablayev offered his full support to the Crimean government’s policies. ‘Your friends are our friends. Your enemies are our enemies,’ the mufti told Aksyonov. Interestingly enough, Ablayev is still a member of the Mejlis, the Tatars’ main representative body and an organisation that has little rapport— to put it mildly—with the present authorities. (The Meijlis can’t even be mentioned in Crimean media.) This, however, hasn’t stopped Aksyonov awarding Ablayev a medal ‘for valorous labour’ in recognition of ‘maintaining socio-political stability in the sphere of interethnic and interfaith relations in the republic’. When Ablayev spoke to Aksyonov about their common enemies in March of this year, he didn’t specify whom he had in mind. But Ablayev’s actions suggest that he is keen to distance himself from the Mejlis and, in particular, its leader, Refat Chubarov, who was banned from returning to Crimea in July 2014 after a trip abroad. Women meet after a collective prayer for victims of the 1944 deportation at the Kebir-Jami mosque in Simferopol, Crimea. (c) Artem Kreminsky / VisualRIAN.An incident in Turkey at the end of August has only reinforced this impression: after Ablayev and Chubarov met in Ankara for the Second World Congress of the Crimean Tatar people, Russian TV channels began to claim that Chubarov, the exiled Mejlis leader, and his associates had more or less physically attacked the Crimea delegation. In actual fact, according to Ablayev, the event was far shorter and unplanned than the media claimed. Of course, after Ablayev set his record straight, Chubarov lost no time in responding, commenting on the mufti’s reluctance to conduct a real meeting and his apparent relationship with his FSB minders. It is possible that the widely reported Turkish incident might trigger the Russian government to implement its long discussed plan of creating a new Crimean Tatar leader. Elements within the Crimean Tatar community have long shown hostility towards people who have accepted public office under the new regime, such as Remzi Ilyasov (deputy speaker of Crimea’s state council), Ruslan Balbek (deputy prime minister of the Crimean government), Zaur Smirnov (head of the state committee on interethnic relations and deported citizens), and Ablayev may well become an acceptable alternative. Rumour has it that Russia has Turkish support for this move. Indeed, the long awaited construction of a central mosque in Simferopol has finally begun, with Sergei Aksyonov announcing Vladimir Putin’s support for the project at the opening ceremony. With help from Turkey, the mosque should be completed in three years. On the eve of the start of building work in Simferopol in late September, Ablayev himself attended the opening of the new central mosque in Moscow, attended by the presidents of both Russia and Turkey. Since Crimea came under Russian Federation jurisdiction in 2014, several non-traditional religious organisations have found their activities coming under threat, such as Hizb ut-Tahrir, international pan-Islamic political organisation. Hizb ut-Tahrir is not banned in Ukraine, and had several thousand supporters in the peninsula. These people held meetings, conferences and rallies before Russian annexation, and were openly critical of the peninsula’s Islamic establishment, making public statements and inviting foreign speakers. This all ended in March 2014: Russia sees Hizb ut-Tahrir as a terrorist organisation, and this was the main reason for the wave of searches of Muslim homes last year, which ostensibly followed up on tip-offs about people harbouring arms, drugs and extremist literature (which generally turned out to be the Quran). This harassment from the security services has led some Hizb ut-Tahrir supporters to leave the peninsula and settle in mainland Ukraine, quite a few of them in the L’viv area. Others, wanting to remain in Crimea, have left the banned movement and shifted their allegiance to the Tauric Muftiate. According to Vladimir Makarov, deputy Interior Ministry chief in charge of counter-extremism, the number of Hizb ut-Tahrir supporters in Crimea has fallen by 75% (from 10,000 to 2,500) since annexation, to a figure comparable to the rest of Russia. The organisation’s activity has come to a halt, but that hasn’t stopped the law enforcement agencies from ‘exposing’ members: in February 2015, for example, three Crimean Tatars—Ruslan Zeitullayev, Nuri Primov and Rustem Vaitov—were arrested on charges of belonging to a terrorist organisation (Hizb ut-Tahrir). They are still being held in investigative detention. The Mejlis regards them as political prisoners and has demanded their release. Crimean activists close to the Russian authorities have also come out for the ban of Alraid, a Ukrainian organisation founded in 1997 to promote cultural, educational and charitable activities. As Lenur Usmanov, a political commentator from Sevastopol, stated in June: ‘Alraid is involved in destructive activities directed against Russia.’ According to Usmanov, Alraid is apparently financed by the Mejlis and SDCM to cover the activities of Hizb ut-Tahrir. The security services are yet to take heed of these comments, and Alraid has since re-registered and changed its title. 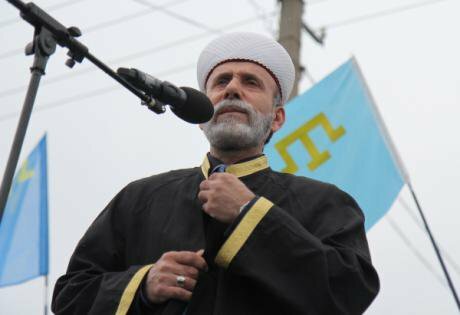 Thus Crimea’s new Russian government has done everything in its power to promote the Spiritual Directorate of the Crimean Tatars, which promotes traditional Islam, among its Crimean Tatar population. Mufti Emirali Ablayev has practically carte blanche for any initiative; he is personally close to the peninsula’s rulers and can be seen alongside them at public events. In return, Ablayev professes his complete support for the government, despite criticism from Mejlis leaders in Kyiv and the risk of being excluded from that body. Most Crimean Tatars living in Crimea have remained loyal to the muftiate, realising that Ablayev has no alternative but to cooperate. The government, after all, can always find an alternative spiritual leader.